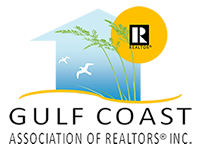 " Thad was professional and helpful with the purchase of our condo. I would highly recommend Thad and his staff. They jumped through many hoops to make sure we closed. " " Very professional, consistant and curtious help with finding and stream lining the home purchase proccess. I have made many realestate transactions in my past but this one is truly a 5 star rating. I will reccomend you to Friends and Family. Great Job!!!!!!! " " Sheila is the best! She's so patient, thorough and knowledgeable. She never tries to lead you toward a property that is out of your price range or that's not what you're looking for. I would use her again in a heart-beat! Thanks again, Sheila, for a great buying experience! " " Thad, answered all of my phone calls, and texts and that means a lot to me. I would say that i am a very needed person, and don't like to wait for anything! . I explained that to Thad from the beginning and he understood me perfect. If you want honesty and performance , give Thad a call, he wont let you down!! " " It's been 30 years since we built our home and raised 2 great kids. Now, my wife and I were looking for the perfect weekend retreat to start spoiling grandkids. Shelia was amazing. She coached us through the maze of South MS homes and helped us find something truly special. No pressure, just professional. " " I have been involved in several transactions with this great agent and thoroughly enjoy working with him. Not only does he give his undivided attention to his clients, but he also invests untold hours of his personal time to the community through educational projects and altruistic endeavors. Truly a pleasant professional! " " Thad's teammate was extremely willing to meet when it was convenient for us. She remained in constant contact with us, and was always available to answer our questions. " " My family and I had a wonderful experience with Thad! He was very helpful, punctual, and knowledgable of what we were specifically looking for. We would gladly recommend him for any real estate venture. Thanks tremendously Thad! "